(Francisco Kjolseth | The Salt Lake Tribune) Connell O'Donovan, of Salt Lake, who calls himself an ex-Mormon, says he endured 10-years of conversion therapy in high school and college. Legislation that would ban conversion therapy in Utah was introduced on Feb. 21. The swift rise and even swifter fall in the Utah Legislature of House Bill 399, Prohibition of the Practice of Conversion Therapy, had a lifespan that was nothing if not a whirlwind, and its ultimate demise will have dangerous and deadly ramifications for Utah’s LGBTQ and questioning youth for at least the year to come. The bill had a highly encouraging debut in the Legislature, one full of hope, optimism and promise. An extensive coalition made up of health care associations, education associations and suicide prevention coalitions from across the state and the nation backed the bill. The LDS Church worked in good faith with LGBTQ-rights groups to arrive at compromise language that provided them religious exemptions, and Gov. Gary Herbert pledged to the sign the bill when it arrived on his desk. How did it all end up going so very wrong, so very quickly? In committee, a number of woefully misguided amendments were made to the bill which ultimately rendered HB 399 pointless at best, and deeply harmful at worst. The amendments included changing what is prohibited to strictly aversion techniques of a physical nature, such as electroshocking clients and inducing vomiting to “cure” them of their homosexual attractions. While such “therapy” is clearly and obviously reprehensible, these methods have also widely fallen out of use over the decades, and conversion therapy is now almost exclusively administered through talk therapy. These talk therapy techniques are no less deadly and dangerous, with peer-reviewed scientific research showing a direct causation between talk conversion therapy and increased rates of depression and suicide for LGBTQ youth. Another change to the bill would have allowed a therapist to use conversion therapy on a minor so long as the therapist did not make an explicit promise to them that their sexual orientation would change. This would have essentially solidified into law a way for therapists to easily evade the proposed prohibitions and continue to subject minors to conversion therapy. These changes were outright dangerous. The final troubling change made to the bill was added language which supported the notion of “self-determination,” allowing the therapist to work on changing a minor’s sexual orientation if the minor has set the goal to do so. Self-determination is a concept deeply ingrained in the American psyche, and to oppose this cherished value would be considered profoundly un-American for most citizens. But to allow teenagers under these circumstances to supposedly “self-determine” into a practice that we know from the research can be deadly would be dangerous is unfathomable. It is a complete and utter moral failure. We have a responsibility as a society to do all that we can to protect our youth from practices we know bring harm to them. It is why we have laws prohibiting underage smoking and underage drinking and setting an age of consent. This session our Legislature acknowledged this responsibility by raising the legal age to purchase tobacco and the legal age to enter into marriage. And yet, when it came to protecting our LGBTQ and questioning youth, our lawmakers abdicated this responsibility. I am, however, an eternal optimist, and one who genuinely believes in the good of people. I need, deep down, to believe that our state lawmakers would not engage in legislative actions that are actively harming our state’s children and teenagers. Which is why, over the coming year, I ask for them to simply listen. Listen to the voices of the impacted community when they talk about why these amendments were misguided. Listen to the research and evidence that has been published about conversion therapy. And, above all, listen to the stories of immense pain and agony from the survivors of this practice. Commentary: What is the ‘Utah way’? Depends on who you are. I am hopeful that after a year of listening, our legislators will arrive at the 2020 session ready and prepared to right this wrong. For them to fail our LGBTQ and questioning youth in such a profound way a second time would be a dereliction of moral duty that no constituent should be willing to forgive. 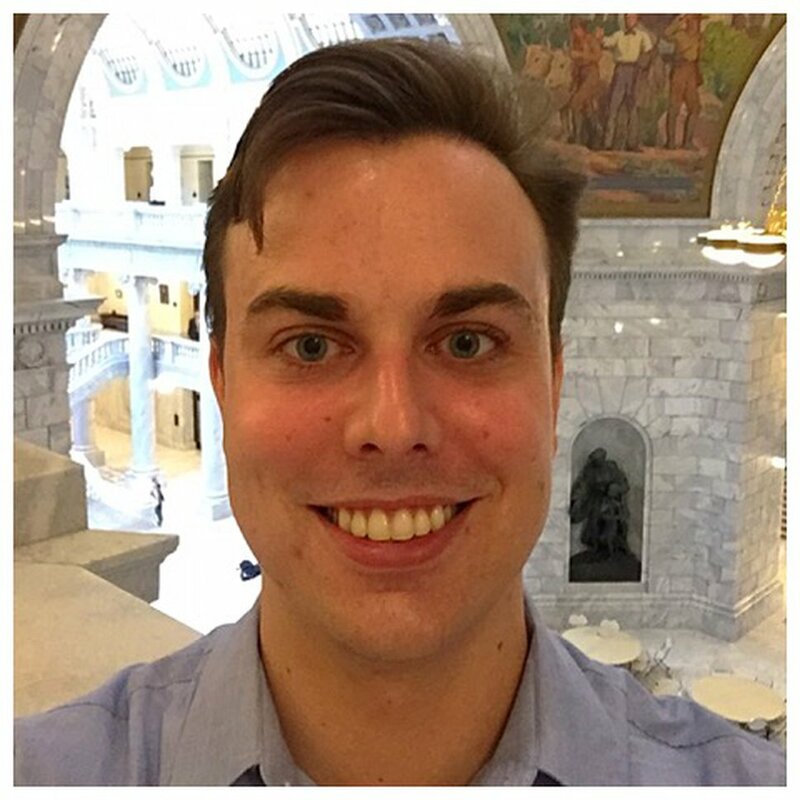 Billy Finlay is a senior linguistics major at the University of Utah and a legislative intern at Alliance for a Better Utah.